Using a slow Windows computer can be frustrating. You may want to consult a PC technician to understand the root cause of the problem. Dust can clog in your computers fan, making it slow down and heat up. An outdated or corrupted operating system can subject your computer to errors and sluggishness. What are some Windows 10 hacks we can use to improve our PC’s performance? 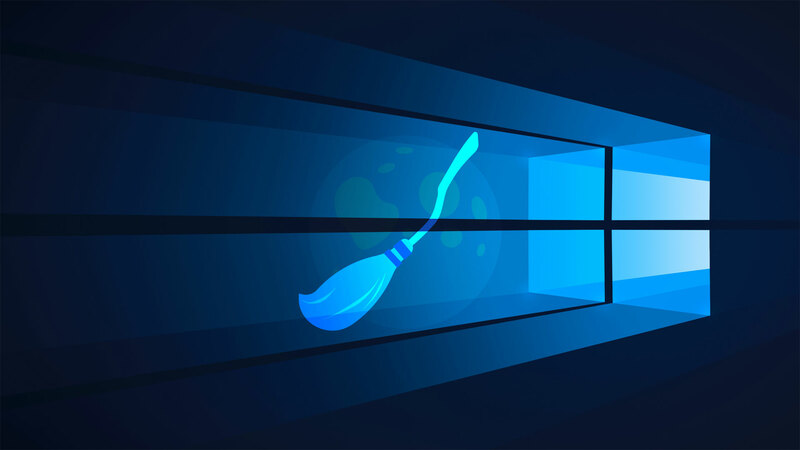 This guide will show you a proper way to clean your Windows 10 computer in easy DIY steps. The first step towards enhancing the performance of your PC should be to remove unwanted programs and files. These documents and applications can cause serious damage to your computer performance. Find “Storage’ and click on it. Go to ‘Storage Sense’ and click on ‘Change how we free space’. Clickon the ‘Clean now’ button. Click on the ‘Apps’ option. Click on ‘Apps & feature’. Select the application you want to uninstall. Click the ‘Uninstall’ button once, then click it again to confirm. Repeat the processif you want to get rid of more programs. Open up CClear and click on ‘Registry’. Check all the options on the left panel. Click the ‘Fix Selected Issues’ button to fix errors. After using the software, you are free to uninstall it. Malware-infested PCs are slow. The most common types of malicious software include viruses, spyware, and adware. It is advisable to use Malwarebytes to remove malware from a PC. Eliminating malicious software will help you run Windows 10 smoothly. Download Malwarebytes from its official website and run it on your computer. Look at the ‘Threat Scan’. Once the software has finished scanning your computer, Click the “Reports’ tab. Click ‘View Report’ to review the results. Click on the ‘Quarantine’ tab and delete the quarantined items. To complete the malware-removal process, restart your PC. System disks with useless data and large files tend to work slowly. You need to find and remove large files that you don’t need anymore. Manually checking for these files is an option, but there are smarter ways to undertake this task. You can use the ‘Junk File Cleanup’ options in the software to get rid of junk files. Manufacturers are notorious for filling new PCs with pre-installed apps, which are commonly referred to as bloatware. You may never use these programs, but they will continue to take up space unless you do something about them. Windows 10 comes with a lot of bloatware. Fortunately, it is easy to get rid of these apps. You can use the PowerShell or the traditional uninstall method. Do not bother looking for bloatware under the ‘Apps & Features’ section because you will not find it there. If you choose to use the traditional uninstall technique, you will have to find the applications and install them manually. The PowerShell is the most preferred way to clean up bloatware. Another option to uninstall bloatware is to use The PC Decrapifier. This software is easier to use, compared to the Windows PowerShell. It includes branded software and premium antivirus trials. Right-click in the space on the right to create a new folder. Drag-and-drop the relevant files into the new folder. Remove every unused shortcut from the desktop. Right-click on your desktop and choose ‘Auto arrange icons’ under ‘View’. This step will force the remaining files into a neat grid. If you do not like the arrangement, you can right-click on the desktop and select other options under ‘View’. After taking care of unwanted software and files, your computer is now squeaky clean. You need to keep it that way. Avoid downloading junk applications such as My Clean PC 3000. These programs will install their own crapware and force you to repeat the entire cleaning process. They will also bombard your PC with ads. Install trusted anti-virus software on your Windows 10 PC to safeguard it from viruses. Use Malwarebytes to check for malicious programs regularly. Avoid visiting suspicious sites as they may have malware-infested files. It’s not advisable to clean your registry with any kind of software. The manual method works just fine. The tools mentioned in this guide will help you clean your computer for free. Be sure to make the most out of them.